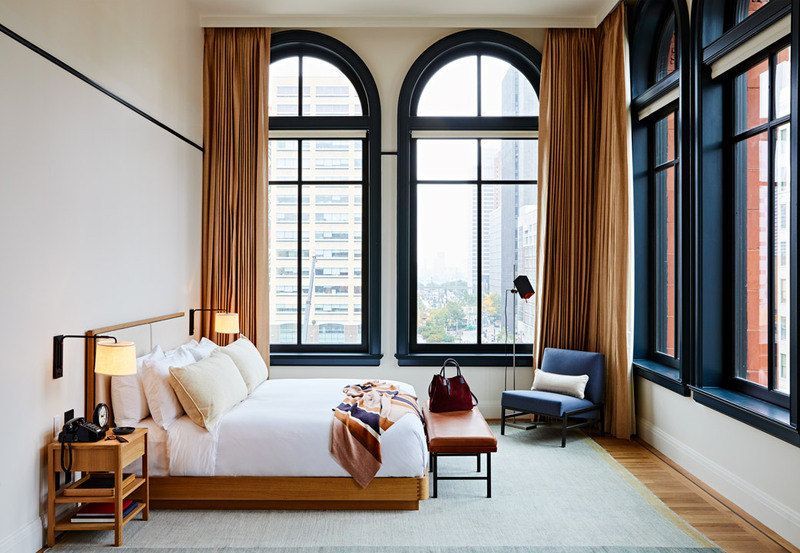 The Shinola Hotel has 129 guest rooms — with residential style units which offer a different experience during each visit — along with 16,000 square feet of retail and food and beverage space, including a lobby restaurant, mezzanine lounge, conservatory and magnificent event space. But the fun doesn’t just stop inside. On the property, guests will find an activated alley bustling with life and the hotel’s outdoor beer hall. 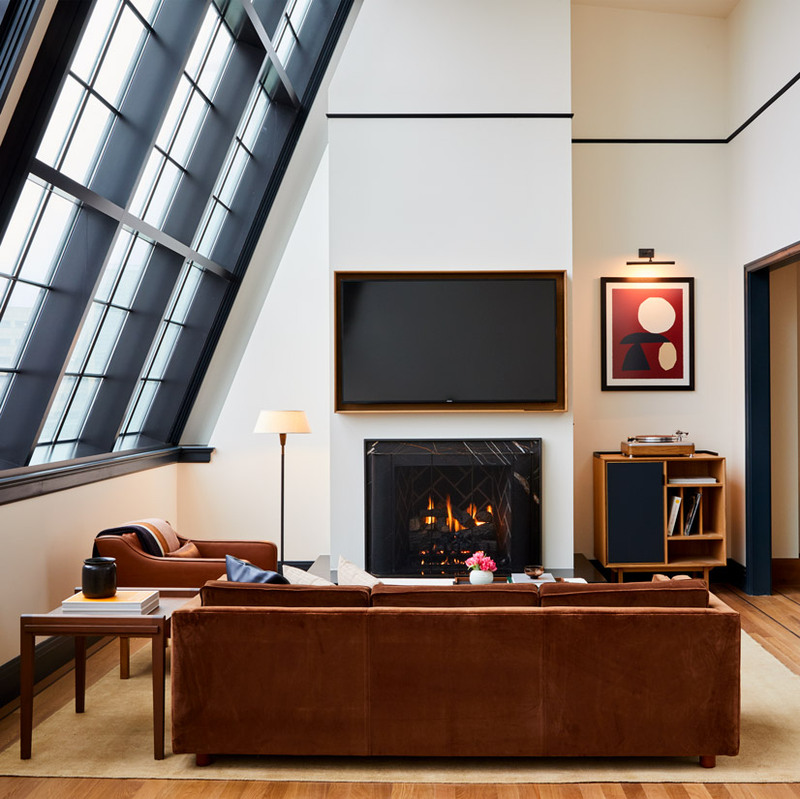 With Detroiters and visitors in mind, the Shinola Hotel provides something else brand new for downtown: a social “living room” designed for spending quality time in good company. Richly appointed rooms off the lobby will offer exceptionally warm environments to create, snack or just hang out. 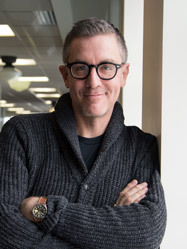 "We wanted Shinola Hotel to reflect the idea that luxury can be welcoming and comfortable, so the property design radiates confident, crafted luxury and genuine warmth. " Tell us about the design of Shinola Hotel. We have always wanted to create a space where people could be fully immersed in the brand. Since we began opening retail stores in 2011, people have always commented on how beautiful our stores are and how unique the experience is. We knew this would translate perfectly in the hospitality space. 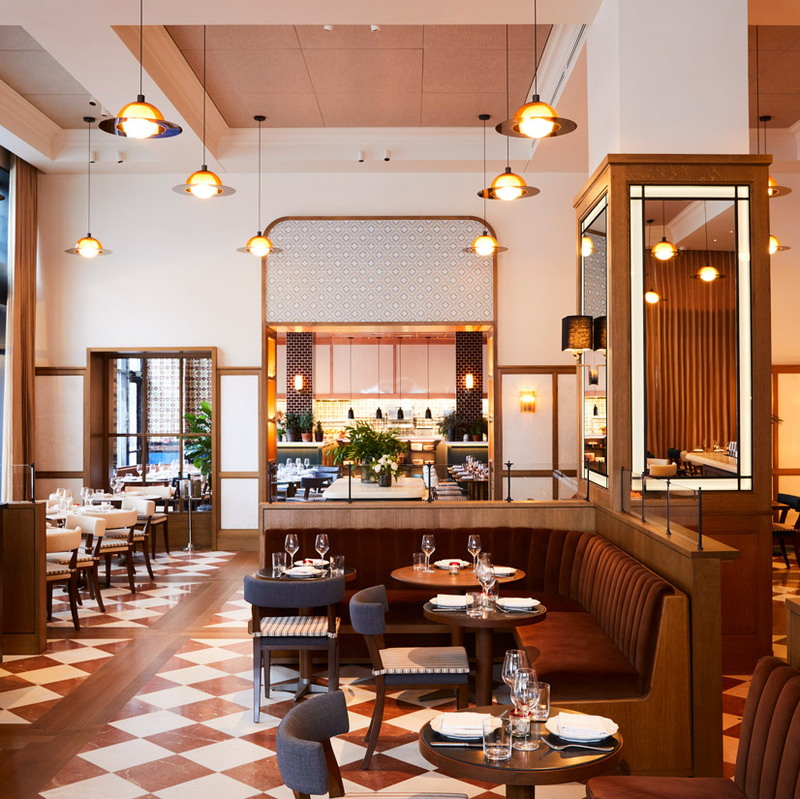 We wanted Shinola Hotel to reflect the idea that luxury can be welcoming and comfortable, so the property design radiates confident, crafted luxury and genuine warmth. 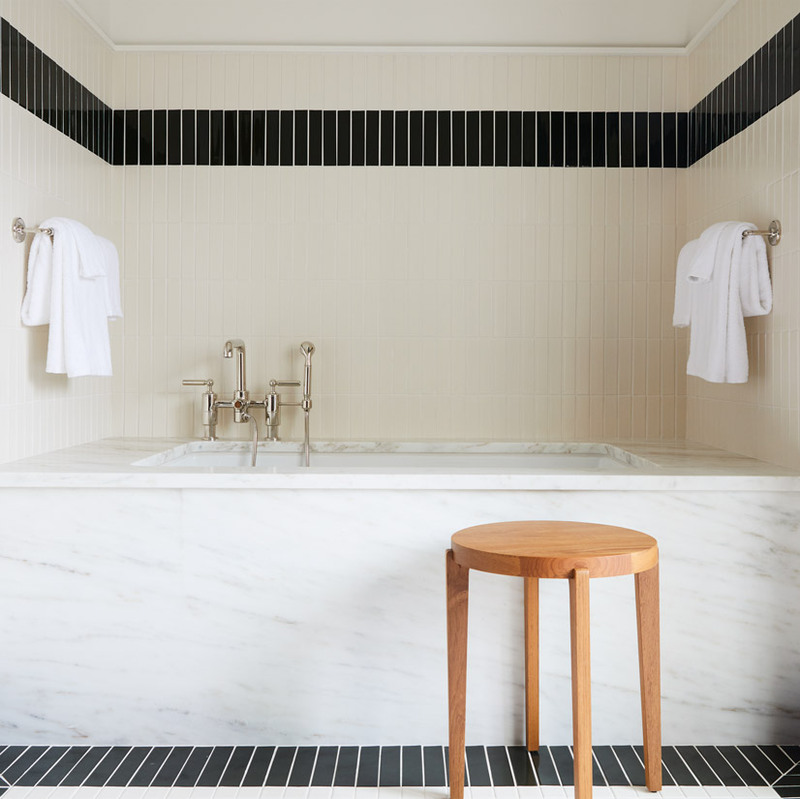 The hotel features tones including caramel, gray, deep greens, and soft blush as well as in-room materials like oil-rubbed bronze, soft leather, and American white oak. Accents of Shinola blue, a signature color developed by Gachot Studios, inspired by a lone paint chip unearthed in the Singer building, can be seen in the cream-colored hallways throughout the property. 1. The art collection represents decades of Detroit and national artists. 2. All the furniture in the rooms was made in Amish factories in Ohio. 3. The property encompasses five buildings that span a city block. Touches like natural materials such as wood, cotton, leather, and alpaca make your stay feel comfortable. 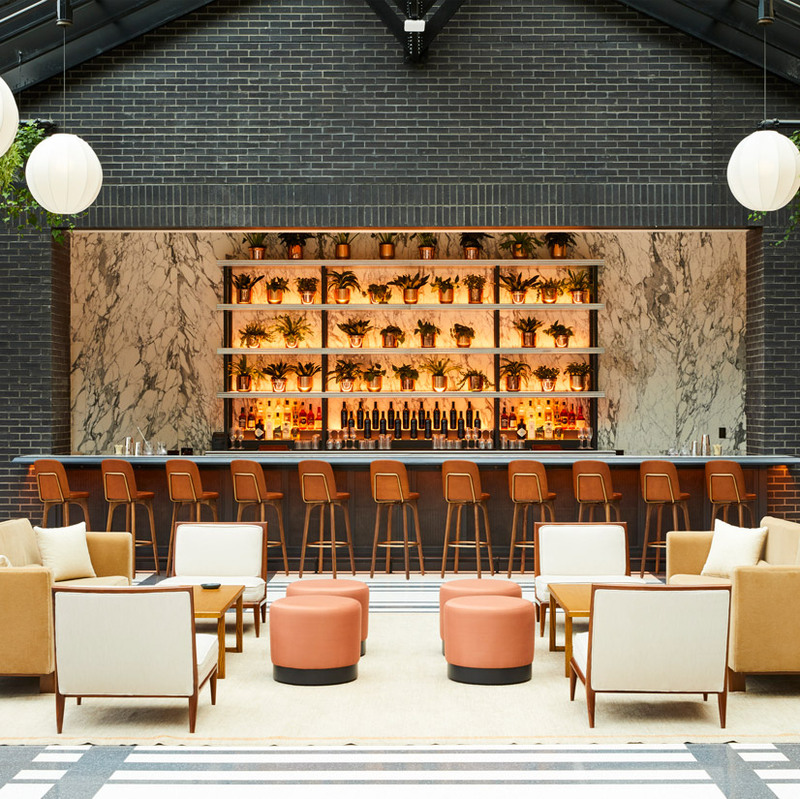 Walk us through your ideal stay at Shinola Hotel. An ideal stay would include spending time in all the different outlets across the property. It would at least need to be a two-night stay in order to experience all that the hotel and its venues has to offer. For me, it’s always the room service. Having a great meal in a great hotel is always an indulgence. I usually order the burger or a steak with fries. The curated retail experience we’ve created around the block. The alley runs through the middle of the hotel and creates a walking neighborhood, giving visitors a chance to experience the city. If you only had 24 hours in Detroit, where would you visit? I would start at Rose’s Fine Foods for breakfast. Then I would go on an art and architecture tour of the city – there’s a ton to see. Next, I’d head to the Shinola Hotel Living Room for lunch followed by either San Morello or Penny Red’s for dinner, depending on what I’m in the mood for. And finally, I would finish up at Evening Bar for a late-night cocktail. What do you believe is the greatest hidden gem in Detroit? The Detroit Conservatory on Belle Isle is a beautiful hidden gem. In your opinion, what is the best time of year to visit Detroit? Why? The best time to visit Detroit is in either the spring or summer – the weather is perfect. I am usually traveling for business. To me luxury is not about a price point, it’s about quality products and quality experience.